St. Eustatius, a small island in the northeastern Lesser Antilles, was one of the busiest ports in the eighteenth-century Atlantic World. Contested between the Dutch, French, and English, the island attracted thousands of ships a year and became one of the most cosmopolitan places in the New World. Moreover, the island played an important role in the American War of Independence (1775-1783), during which large quantities of arms, ammunition, and gunpowder were shipped to the fledgling United States through St. Eustatius. Relics of this turbulent past are found all over the island and in its surrounding waters. These include warehouses in the historic port district, fortifications all around the island, sugar plantations in the countryside, and a variety of underwater archaeological sites such as shipwrecks, anchorage areas, and docks. 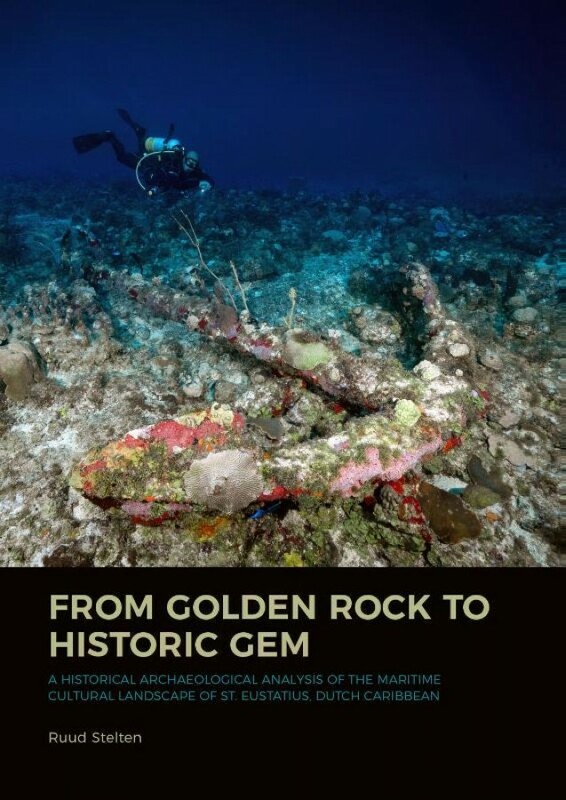 Through extensive archaeological and documentary research, this study aims to provide a detailed analysis of the maritime cultural landscape of St. Eustatius over the past four centuries. It focuses on bridging the gap between the marine and terrestrial worlds and demonstrates that in order to truly make sense of the complex interactions, events, and processes that shaped this maritime world, both land and sea need to be studied in relation to each other.